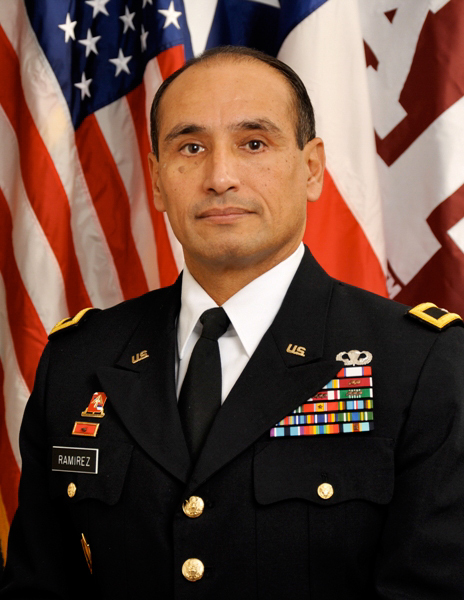 Brigadier General Joe Ramirez is a native of Houston, Texas and is a graduate of Texas A&M University, where he was a member of the Texas Aggie Band in the Corps of Cadets. He received his commission in the United States Army Field Artillery from Texas A&M in 1979 as a Distinguished Military Graduate. 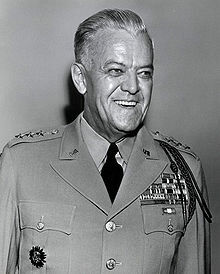 He went on to command units and lead Soldiers in Bad Kissingen, Germany, Ft Stewart, Georgia, Fort Hood, Texas, and in the Republic of Korea. He was also the Deputy Chief of Staff for United States Central Command during Operations Iraqi Freedom and Enduring Freedom. BG Ramirez is the current Commandant of the Texas A&M Corps of Cadets. 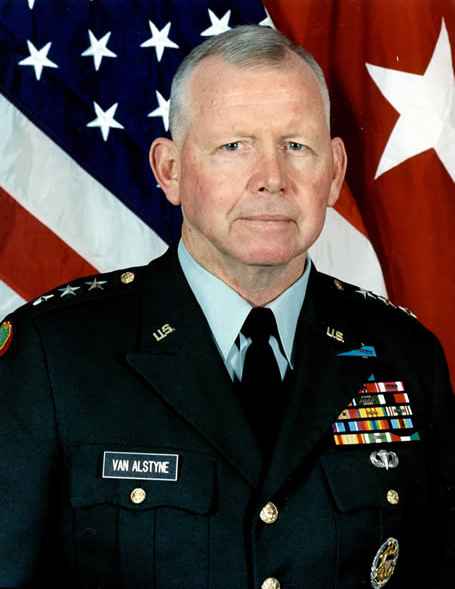 Lieutenant General John Van Alstyne was a native of Houston, Texas and graduated from Texas A&M University and the Corps of Cadets with a Bachelor’s Degree of Business Administration in Marketing. He received his commission as an infantry officer in the United States Army in 1967 and would serve in Germany, Texas, and in combat in Vietnam and Iraq. He notably led the 24th Infantry Division during Operations Desert Shield and Desert Storm, served as the Commanding General of Fort Jackson, South Carolina, as Deputy Assistant Secretary of Defense for Military Personnel Policy, and as the Commandant of the Texas A&M Corps of Cadets from 2002-2010. Currently, he is an executive professor at the Mays Business School at Texas A&M University. Lieutenant General Randy House was a native of Corpus Christi, Texas and is a Distinguished Military Graduate of Texas A&M University and the Corps of Cadets. He received his commission as an Armor officer in the United States Army from Texas A&M in 1967. He led Soldiers in combat in Vietnam, commanded the 1st Infantry Division at Fort Riley, Kansas, and worked in the Pentagon as the Senior Military Assistant to the Secretary of Defense, Dr. Bill Perry. On August 1, 1997, Gen. House assumed command of the Eighth United States Army and Chief of Staff, United Nations Command/Combined Forces Command/United States Forces in Seoul Korea. In October 1998, he received a second three star assignment as the Deputy Commander in Chief and Chief of Staff, United States Pacific Command (USCINCPAC). Since retiring from the U.S. Army, LTG House has remained a steadfast friend of Texas A&M, MSC Student Conference on National Affairs (MSC SCONA), and Army ROTC. 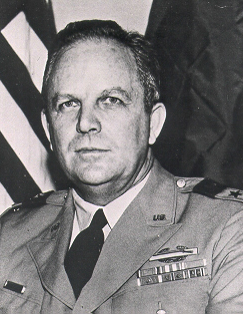 Major General James Earl Rudder was a native of Eden, Texas and is a graduate of Texas A&M University and the Corps of Cadets. He received his commission as an infantry officer in the United States Army Reserve from Texas A&M in 1932. He famously led the 2nd Ranger Battalion to scale the cliffs of Pointe du Hoc in Normandy during the Battle of D-Day. After the war, he returned to Texas to serve as Texas Land Commissioner, the Mayor of Brady, Texas, and as the 16th President of Texas A&M and 3rd President of the Texas A&M University System. The Texas A&M Army ROTC special unit, Rudder’s Rangers, is named in his honor. Lieutenant General Andrew Davis Bruce was a native of St. Louis, Missouri and is a graduate of the then-Agricultural and Mechanical College of Texas. He received his commission as a United States Army infantry officer from Texas A&M in 1916. He fought and led Soldiers in both World Wars and served as the Governor of Hokkaido during the Occupation of Japan. After retiring in 1954, he returned to Texas to serve as President of the University of Houston and then as Chancellor of the University of Houston System.